Lions and tigers is the wrestling game that I have played at different times with each, both, two of and all of my three children. 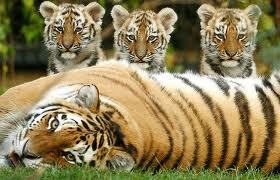 It can be combative, but more often is affectionate, as it morphs into tiger family game. The participants are: Gabriel (born 2001), Eliza (born 2003), Robin (born 2006); L, their mother, and me, the alpha male of the pride. This blog records their experiences, progress, delights and frustrations. It helps me anchor my memories of their childhood.